On April 2, 2011, soccer player Wesley Sneijder of Inter Milan complained about being hit in the eyes by laser pointers when taking a free kick in the match against AC Milan. On December 27, 2010, Indonesia accused Malaysia of cheating in a football match after Malaysia's fans shone laser pointers in the eyes of Indonasian players during a Suzuki Cup final clash in Kuala Lumpur. On November 24, 2010, Novak Djokovic lost his match against Rafael Nadal complaining that his right eye got irritated and it never happened before. In all times there have been people trying to manipulate the results of competitions, sports matches. But this was (very) difficult, it took poisening, often left evidence. In the past the countries that developed the best (undetectable) performance-enhancing drugs, USA, Russia, East-Germany, China, were on top in many world sports. Today, countries still need very good athletes but now also can degrade and influence the performance of competitors with powerful electronic weapons. Today's electronic weapons, i.e. weapons based on invisible radiowaves like laser weapons, directed energy weapons, microwave weapons, mind control weapons, make it very easy to manipulate results because the human body and brain are very vulnerable to electromagnetic energy. And it is not only humans that can be attacked. Sports where a lot of money is involved, with betting, like horse racing, are also likely to be targeted. Put all your money on on the third seed and 'zap' horse number one and horse number two with invisible laser weapons during the race and you make a lot of money without too much risk. Is it this easy? Yes it is. The most used directed energy weapon on humans is a microwave weapon which is nothing more than a very high power microwave oven that can be aimed very precisely. It's operation is very easy to understand. it can be used to cook the human body like a microwave oven cooks meat. Low intensity or high intensity, in a second or for longer times, even hours. A few of the effects that can be achieved are (sudden) heated body, blurred vision, stiff limbs, irritated feeling, farting, burping, sudden heavy pain, slowly increasing pain, teared muscles, heart ache. 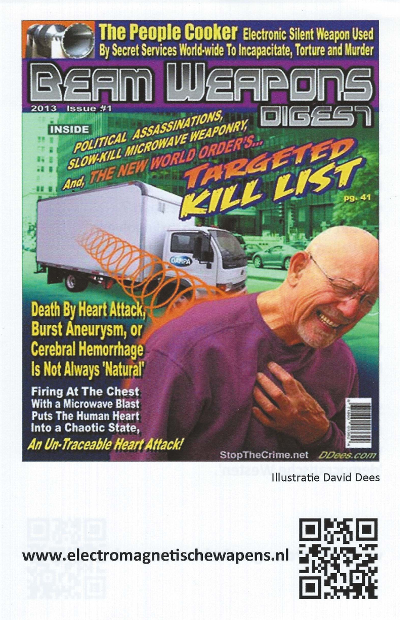 Other types of directed energy weapons may manipulate the heart beat, cause nausea, vomitting, pressurize (e.g. upper chest), cause (irresistable) urge to urinate or defecate, sting like an insect, make you scratch, etc. How damaging and painful are the attacks? Attacks can cause irritation, slowly building up. Or are just there, instant. They can be uncomfortable to extremely painful. Injuries, or the feeling of being injured, can disappear as sudden as they came, or last for days. If they cook your calf, you may tear a muscle and recovery can take weeks. They may also attack you after a competition event/match for many days to get you to a doctor. Do not assume the attackers will just flash your calf to injure you. Their attacks have been designed not to cause any suspicion. If you are an athlete your calfs may be attacked when running uphill or make you cough when you run on a bridge. When you increase speed they may start heating your body, or pressurize your chest, the result being you will slow down. Or you may suffer a knee injury when you want to run a marathon and break a record. Or you suddenly feel very sick, or get biceps pain, during a tennis match. They may attack your spline after fifteen minutes, make you want to defecate and fart after you take your energy drink. If you do not know about this technology, you probably think this was just bad luck. But this was not bad luck, you were attacked with a directed energy weapon, that cooked part of your body. The attackers have a wide range of effects they can apply and will choose the most 'logical' effect at a certain moment. In all cases they will attack you in such a way that no evidence is left. Being an athlete, you might be alerted and think something strange is going on and complain about this. Because of the carefully applied attacks, your trainer, co-athletes, friends will say: yes I also had calf problems once when running uphill. This is called deniablility, or how the military often put it: plausible deniability. From Wikipedia: More generally, 'plausible deniability' can also apply to any act that leaves little or no evidence of wrongdoing or abuse. Examples of this are the use of electric shock, waterboarding or pain-compliance holds as a means of torture or punishment, leaving few or no tangible signs that the abuse ever took place. Where do the attacks come from? Yoiu can be attacked from distances of hunderds to thousands of meters, through-wall (through-ceiling), through clouds. From the sky, from houses, vans, aircraft (including helicopters). If inside crowded rooms, shops, there are generally agents signalling your position to the controllers of these weapons. Because they can 'lock' on a target through-wall this needs to done only once in a while. Can you protect yourself against these attacks? It is impossible (!) to protect yourself against attacks with directed energy weapons. Shielding with tin foil, metal sheet, water, make the attacks less powerful in the beginning but after some time the attackers simply increase intensity. But being a professional athlete or soccer player you cannot protect yourself during training and match! When you are swimming freestyle the attackers can flash your spline or heart area everytime you raise your left arm. How do you know if you are being attacked? Awareness. If you know about these possibilities, you must be very aware of what you feel. When do you notice something is not right? When did it start? Is it the same as other times? Does it change, does it go away when you change directions? Is it normal to feel this pain? Did you feel this before? Etc. You yourself are the best (and probably the only) judge of this! 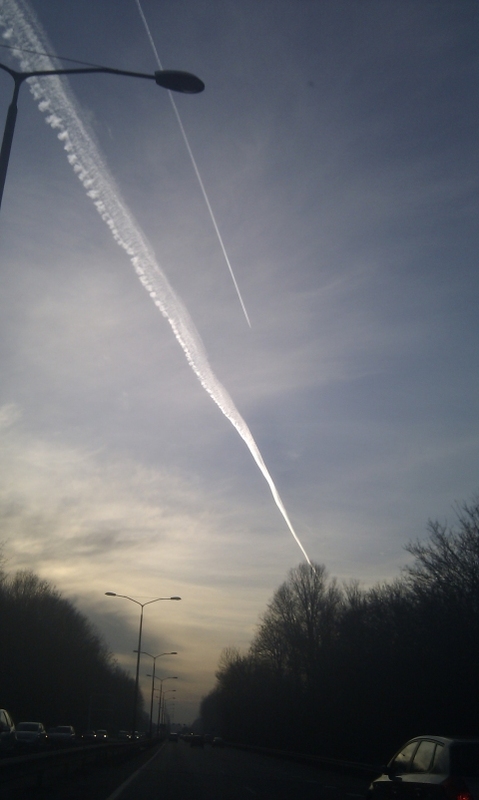 Read information on the internet about directed energy weapon attacks. Many victims of these weapons have put their personal stories on the internet. In general once the attackers decided you will be a target, they will not give up and keep trying to slow you down. This means you probably are attacked multiple times with a similar beam, or totally different beams. Sometimes they are not aimed correctly, e.g. the are aiming your spline but are messy and point to high so the pain comes from a position 10-15 centimeters higher. The information presented here probably will frighten many but is very real. Directed energy weapons, like high power microwave weapons, have been developed and have become very accurate the last decade. If you can shoot a rocket out-of-the-sky with a laser weapon at distances of 30 kilometers or more, you can imagine what such a weapon can do to the human body. These weapons are not used visibly in real wars, like Iraq and Afghanistan, mainly because our governments do not want you to know the state of these weapons. Also, using these weapons in real wars, probably would cause a lot of international discussion and may even result in a ban on these weapons. These weapons are also perfect weapons for political control. Secret services (including military) finally got what they always wanted, deniable weapons. With these weapons they can eliminate without evidence. Elimination can range from temporarily out-of-the-way, to causing permanent damage e.g. by causing a stroke, and even murder, e.g. by disrupting the heart function or driving a person insane (suicide, collapase into a psychiatric patient, commit a crime), cause a car accident (making the driver very sleepy, flashing the eyes of the driver). Still not convinced? All over the world people write on the internet about being attacked by these weapons, google e.g. electronic harassment or electronic torture or silent holocaust electronic. Eye cooking/flashing Causes instant blurred vision. The duration depends on the intensity of the attack. Throat cooking Causes instant coughing and/or a sore throat. Heart cooking, flashing and/or pressurizing Can give pressure on chest from the front, or strange feeling left/behind in heart area. When applied with more power you may feel you have a serious heart problem, which probably makes you stop. Sick, nauseous feeling You wil feel sweaty, sick. Maybe sometimes you think this is a hunger attack. It is impossible to continue. Head cooking Sudden headach, itching feeling. Itching can be applied all over your body as well. Body cooking/heating Strange sudden overheating of your body. Also forced burping at specific moments. Calf cooking and/or flashing Low power cooking gives a very uncomfortable feeling. Very high power flashing instantly (in a fraction of a second) cooks your calf. Cooked muscles easily tear apart when applying some power when running. This can result in serious injuries lasting several weeks. Achilles tendon (heel musle) cooking You will not notice this until the damage is done. The heel muscle does not contain much nerves and will not alarm you immiately.